Modern authors can be a malicious lot. Like onlookers at accidents they often seem to thrive on watching their characters getting flattened by life's injustices, suffering mental anguish or being hurt, even killed. Not William Trevor. The veteran Irish writer loves all his characters. Flattened, suffering or dying. He loves them not in some naïve, goody-good way, but with an understanding that they are each central in their own stories. And from seeing that—however unattractive, stupid or despicable they may seem on the surface—they each have some reason for forgiveness or some capacity for redemption. His stories and novels have this almost unique melding of contemporary, gritty, sometimes grisly, reality and old-fashioned humanism. His leisurely, no-nonsense writing style, a throwback to many years ago, maybe to Thomas Hardy or E.M. Forster (or in Canada to Morley Callaghan), enhances this softening, letting his beloved characters come to the fore. And what a bunch of characters they are. Mainly from the humble fringes of British and Irish society—farmers, beggars, prostitutes, lonely seniors, store clerks, runaways, con artists—but also priests, country gentry, police officers and landlords. His tales just about burst at the seams with personalities who seem ordinary at first but develop into fascinating, even perverse, characters with dreams or fears that are too large to be contained in their straitened situations. A common theme for Trevor is his characters' acceptance or rejection of the abandonment of their hopes. Another is the small victories they win that can turn out to be more meaningful than their original impulses. But lest I give the impression his works are all rather dull character studies that are morally good for you to read, please note Trevor is also a brilliant plotter. His stories turn on ordinary characters involved in extraordinary situations. Once you are lulled by his gentle prose, the narratives can twist to catch you by surprise. The word "poignant" crops ups in almost every review of his work, which indicates not just the creation of sympathy for his characters but his ability to draw them through situations that evince painfully sharp feelings in the reader. 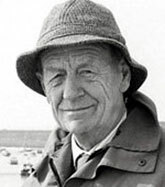 He was born William Trevor Cox in County Cork, Ireland and educated at Trinity College, Dublin, although most of his adult life has been lived in Devon, England. His first novel, A Standard of Behaviour, was published in 1958. His first to win acclaim was The Old Boys (1964). This was followed by The Boarding House (1965), a surprisingly explosive story about the interwoven lives of boarding house tenants—in which the most important character dies on the first page. In 1994 he published what may be his greatest novel, Felicia's Journey, about a pregnant Irish girl who searches for her lover in England but is taken in by a strange older man. It's sometimes called a thriller and was made into an acclaimed film by Atom Egoyan. He has also produced a collection of autobiographical essays, Excursions in the Real World (1993), has edited The Oxford Book of Short Stories (1989) and has written numerous plays stage, radio and television. And, yes, his writing is morally good for you to read.